Malta financial services blog hosting posts on using Malta as a financial services centre for the hedge funds, investment services, insurance and banking and finance industries. Malta serves as a European domicile of choice for the set up of regulated companies in the European Union and has earnt a high place in the ranking of reputable international financial centres. Last month Malta’s Prime Minister revealed that cabinet has approved the first draft of a national strategy to promote blockchain. 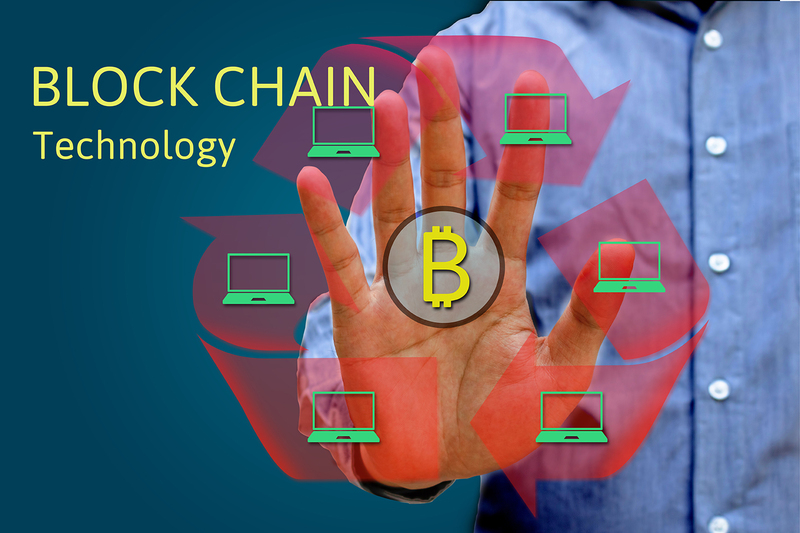 Blockchain is the technology underlying the Bitcoin crypto currency and other fintech solutions. This Malta blockchain plan has the single purpose of making Malta one of the first countries in the world to embrace blockchain. The draft shttps://www.ccmalta.com/news/malta-blockchaintrategy will soon be forwarded for public consultation. This is welcome news that will see the creation of the world’s best environment for the development and commercialisation of Fintech models and disruptive innovation. Malta wants to make sure it has the appropriate regulatory framework, the right tax system and the best infrastructure to support this ambition. Read more at: Malta Blockchain Strategy. Very proud to announce that at the WealthBriefing Swiss Awards 2017, Malta was awarded the crown of 'International Finance Centre - Editor's Award'. The awards dinner was held at the Hotel President Wilson, Geneva, Switzerland. This is yet another noteworthy milestone in the Malta's drive to be recognized as a pre-eminent player in the financial centres space. The awards are designed to recognise companies, teams and individuals which ‘demonstrated innovation and excellence during 2016’. Bitcoin Chapter - Europe the Bitcoin Continent? In a debate held by CEPS Ideas Lab yesterday in Brussels, Malta’s Prime Minister Joseph Muscat put on the ‘hat’ of the European citizen “fed up of policymakers going round in circles” and decided to propose 'out of the box' ideas. Over 43 different nationalities were represented during the event and gathered to debate key European policy issues. Representation was from national governments’ representatives, NGOs, businesses, and European institutions. Five ideas were proposed by Prime Minister Muscat and these centred around Europe should become the bitcoin continent; citizenship as an innovative policy tool; creating a European Social Pact; establishing the European Integration Brexit Fund and opening negotiations on Chapter 24 with Turkey. From a fintech point of view, the most 'colourful' proposition was that of turning Europe into the Bitcoin Continent. This though obviously extends to the use and development of sophisticated platforms and protocols based on blockchain. Malta’s PM declared that now is the time for Europe to embark on another 'unthinkable' project. Some financial entities are slowly accepting that blockchain, is much more efficient and transparent than the classical systems and can definitely not be discarded. 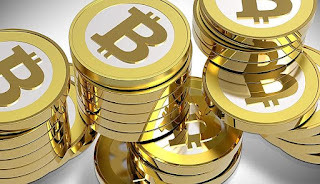 He stated that even though the rise of crypto currencies can be slowed it cannot be stopped and these are here to stay. This innovative outlook merges very well with Malta's strategy to position itself as an innovation hub. For the last twenty years, Malta has been a forward looking destination, with an open business-centric commercial community that stands tall as an EU member state, and a proven record of economic success. Malta has developed a clear strategy for sustainable economic development, identifying key sectors with high growth potential as well as plans to support their consolidation and success. These sectors include, but are not limited to, information and communication technology, advanced manufacturing, life sciences (including the biotechnological, pharmaceutical and chemical industries), transport and advanced logistics, tourism, international education services, financial services, and the creative industries. Malta Prime Minister's comments on bitcoin are not the only initiatives the island is doing to master cryptocurrencies and new payment and transactional typologies. Other initiatives include the Malta Stock Exchange (MSE) setting up a Blockchain Think Tank consisting of members of the Exchange’s Board, its Chairman and Chief Executive and outside experts. The latter will assist in the formulation of a strategy geared towards addressing blockchain as an emerging technology. 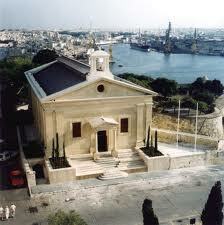 Malta is the first European jurisdiction to enact a specific Family Business Legislation. The new Family Business Act has come into force on 1st of January 2017. This piece of legislation is acknowledged as being a pioneer in the area of Family Business because of a number of reasons. The Malta Stock Exchange (MSE) has set up a Blockchain ThinkTank consisting of members of the Exchange’s Board, its Chairman and Chief Executive and outside experts. The latter will assist in the formulation of a strategy geared towards addressing blockchain as an emerging technology. Chairing the committee will be Dr. Abdalla Kablan, an MSE Director, entrepreneur and academic specializing in machine intelligence, big data, analytics and computational finance. MSE's Chairman Mr. Joseph Portelli said “Malta and the MSE are quite fortunate to have at our disposal our country’s preeminent technologist and a globally recognized expert on blockchain technology. Dr. Kablan has a proven track record within the technology space, evidenced by his latest start-up Hippo Data, the first Maltese company to ever be selected into the London Microsoft Accelerator Program.” This program is an initiative that helps entrepreneurs grow their companies. Originally starting off as the platform on which the ‘much-debated’ currency of bitcoin was based, put simply, blockchain is merely a distributed ledger. It encompasses a method in which information is recorded and shared by an accepting community. Each member in the so called ‘chain’ maintains his or her own copy of the information and all members must validate any updates collectively. Each update is a new “block” added to the end of the “chain.” In other words, it can be summed up as a potentially very secure ledger of digital events, shared between all parties that choose to participate in the events. Parties’ identities and data are protected by cryptography and recordal of new ‘blocks’ or changes in events can only be updated after there is at least 51% or more participant consensus. With such entry of such information, erasing thereof is not possible, hence disintermediating the concept and doing away with a central, monitoring and certification authority. The platform / protocol manages the manner in which new edits or entries are initiated, validated, recorded, and distributed. Blockchain is the ‘tech-charged’ equivalent of the public ledgers of the past, with the added value of permanence, transparency, searchability and the elimination of third party intermediaries. The inception of blockchain saw the replacement of the intermediary (the keepers of trust) with complex algorithms and technological verification methods. 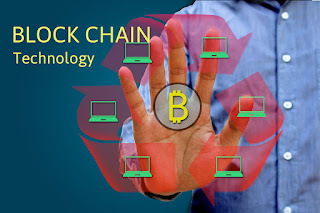 Blockchain can be used in all types of transactions, including those related to contracts, assets, liabilities, identities, or practically anything else that is usually publicly available but can be described in digital form. Entries are permanent, transparent, and searchable, which makes it possible for community members to view transaction histories in their entirety. In the world of capital markets blockchain is now being used by the Scottish stock exchange and the Australian Stock Exchange. Reasons for its popularity include advantages of speed (allowing investors and brokers to receive their money only 15 minutes after a trade is executed) and reduced costs (blockchain could save the financial industry over 41 billion annually in back office costs). The Malta Stock Exchange's creation of a specialised committee to assess this is definitely a positive move in the right direction and tallies perfectly with the Exchange's recent 23 point Strategic Plan that will focus on internationalisation and modernisation of the Exchange. Chetcuti Cauchi, advisor to Shanghai Electric Power (SEP), is pleased to announce that today the transaction for the acquisition of 33% shareholding in Enemalta and a majority stake in the BWSC plant has been concluded. Today SEP has advanced €250 million to Enemalta as part of the deal. Through this transaction, SEP shares have also been assigned. The transaction between the Chinese state-owned corporation Shanghai Electric Power, the Maltese government and Enemalta has constituted the Malta's largest single foreign investment that Malta has ever experienced. SEP will also invest €70 million in converting the BWSC plant from Heavy Fuel Oil to gas and gasoil on June 2016. A government spokesman confirmed that “This means that the contractual obligations and responsibilities under the energy sector and investment cooperation agreement, signed on December 12, will come into force”. This agreement will bring forth the establishment of two joint venture companies that will focus on renewable energy and on the maintenance of SEP's energy plants in the region. The Government said, “Enemalta will thus be writing a new chapter in its history and will open new horizons for our country”. Chetcuti Cauchi Advocates is a full service commercial law firm with a focus on corporate, administrative, tax, financial services, banking, i-gaming and intellectual property law. The firm brings a multi-disciplinary approach to problem solving and regularly advises businesses looking to set up their operations in Malta or otherwise invest in the jurisdiction. The firm acts as legal advisors to Shanghai Electric Power and its Chinese legal counsel on various contractual and structural aspects of the deal. The project gave rise to a number of complex legal challenges and required a co-ordinated effort in bringing together the firm’s various strands of expertise in corporate, administrative, property and contract law. The deal represents an important milestone for the Maltese economy, and the Chetcuti Cauchi team is very pleased to be part of this landmark foreign direct investment into the Maltese economy. The Firm's Energy & Resources Industry Group assists major entities as well as start up companies in the gas, oil, utilities and power industries in identifying opportunities in this ever-evolving industry. Our professionals follow industry developments in the sector very closely, thus they are strategically positioned to advise on international developments, and opportunities as well as business issues. Drawing upon insight from our legal, tax and corporate practices, we are able to assist investors from the very inception of projects up till their completion, offering unrivalled level of expertise all throughout. Whether it is applying for funding or securing trading and planning permissions, our team offers holistic solutions enabling clients to succeed in their endeavours. Whilst being a Malta Cyprus based firm, we serve clients from all around the globe, and thanks to our international connections in various jurisdictions, we have successfully engaged with corresponding firms located in the client’s target jurisdiction.